ClickSend Help Docs - Can I be notified when a message is delivered or fails? All Categories ​>​ SMS ​>​ Can I be notified when a message is delivered or fails? Yes you can, it's called a delivery report. 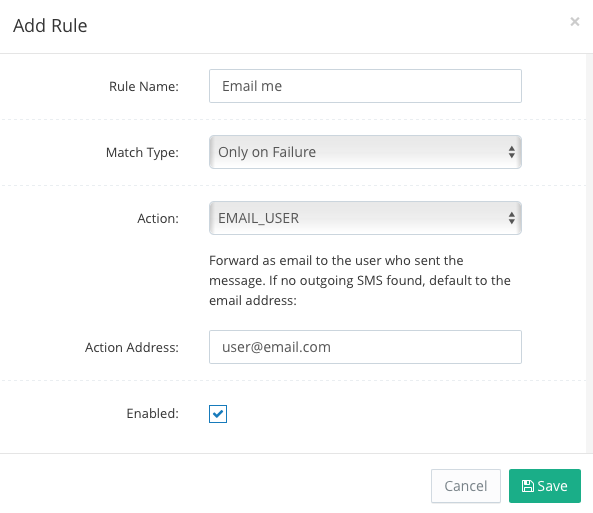 If you're using the email action, we recommend that you only use it for 'Only on failure', otherwise you'll receive an email for every message sent. You may get the notification anywhere from instantly to up to 72 hours later. This is determined by the networks directly and we have no control over when it will send. As an example: if a message has failed because of an account issue, that is likely to send out a failure notification instantly and will not keep trying to resend. If the message fails because the phone is turned off, the networks will keep trying to send it for 72 hours and will then send a failed message.